← How is Bail Set After an Arrest? It can happen to anyone. Just one drink can put a driver over the legal limit for blood alcohol content. If you are pulled over after you’ve had a few drinks, the best course of action is to remain calm, act normal, and fully cooperate with the officer. 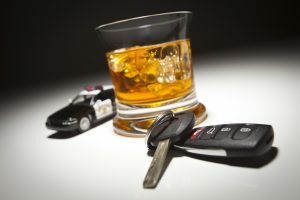 If you are arrested under a DUI charge, or “driving under the influence” charge, then you can expect a few things to happen before you can be bailed out of jail. Whether you are reading this to prepare yourself for the possibility of ever being pulled over while driving under the influence, or to get information for a friend or loved one who has been arrested for a DUI, there are some important facts to know in order to make the process easier. There are some things that must happen first, before you can post bail for a drunk driving charge. The first step is a field sobriety test, blood test, and ride to the county jail. The next step is to get booked and processed into the jail’s database. This includes collecting and confiscating personal belongings, gathering personal information, fingerprinting, photo, and more. Once a person has been booked and processed, they are given the opportunity to make some phone calls if they are on good behavior. But before the person can post bail, bail must be set. A judge sets bail for a person who has been arrested, and the time it takes to get your bail set differs depending on a variety of factors, such as jail traffic, judge’s schedule, and more. For those who are arrested for the first time under a DUI charge, their bail is usually set under $10,000 unless they were involved in an accident that seriously harmed other people or property. A bail bond company will facilitate a person’s release from jail for a set percentage of the total bail amount. This fee is non-refundable, but much more convenient than paying the courts the full amount in cash or property upfront. The most important fact to know about DUI arrests is the amount of time you can expect to wait. Unlike other types of charges, intoxication charges will put a person in jail longer. That is because jails cannot book and process an inmate unless they are fully-coherent and sober. In most jails, 8 hours is the common time period used to ensure sobriety. Once this time has passed, a person can then be processed and their bail can be set. So if your friend or loved one was arrested at night for a DUI, get some rest and call a Noblesville bail bondsman in the morning. There is nothing else you can do for them until then. Call Uptown Bail Bonds at 317-919-2489 for fast and friendly bail bond services in Hamilton County, Indiana. We offer 24 hour bail bonds, county and state bonding, free jail and inmate information, and we serve several other cities in Indiana; including Boone County, Madison County, Marion County, and more. This entry was posted in Bail Bonds, Jail and tagged 24 hour bail bonds Hamilton County, bail bondsman Hamilton County, dui bail bonds, DUI facts, Noblesville Bail Bondsman, post bail for dui. Bookmark the permalink.